Coral reefs show that hidden genetic diversity can prepare ecosystems for climate change. 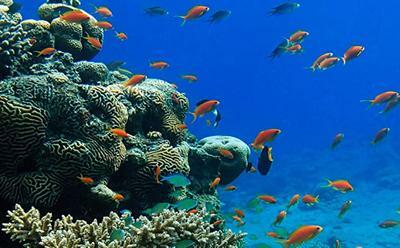 New research on coral reefs, led by the University of Southampton, suggests that existing biodiversity will be essential for the successful adaptation of ecosystems to climate change. About 25 per cent of all marine biodiversity depends on coral reefs. Climate change, in particular increasing seawater temperatures, threatens to disrupt the functionality of this productive association with potentially devastating knock-on effects to ecosystem services that are provided by coral reefs including food supply, coastal protection, attraction of tourists and access to biopharmaceuticals. Investigations of the symbiotic partnership between the coral host and their algal symbiont in the world’s hottest coral reef environments – the Persian/Arabian Gulf (PAG) and nearby seas – lead an international consortium of scientists to conclude that natural selection of existing biodiversity is key to facilitating rapid adaptation of coral reef ecosystems to climate change. The findings by the University of Southampton (UK), KAUST (Saudi Arabia), NYUAD (UAE) and Tel Aviv University /IUI (Israel) are published this week in the world-leading journal Proceedings of the National Academy of Sciences of the United States of America (PNAS). 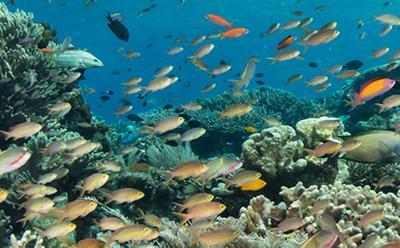 Coral reefs highlight that genetic diversity is key to climate change. To answer this question, the scientific team analysed close to a thousand corals along 5,000 km of coastline in the PAG and adjacent seas. While the unusual symbiont was prevalent within the PAG, it was also found in the Gulf of Oman and Red Sea, however, only at barely detectable levels. Analysing a suite of molecular markers, the researchers discovered a surprising genetic diversity among S. thermophilum from outside the PAG.